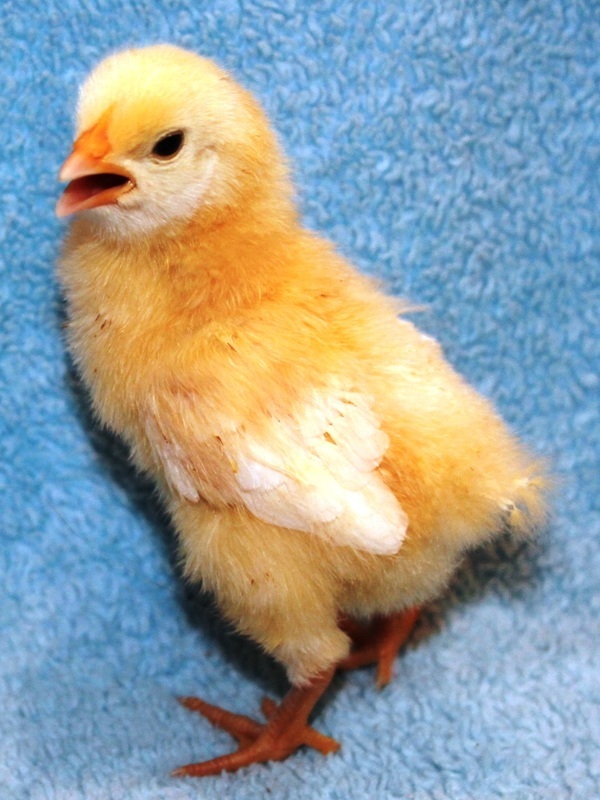 White Basque cockerel, Miguel, at one week. Miguel is in *chicken jail* because he likes to attck some of the children. 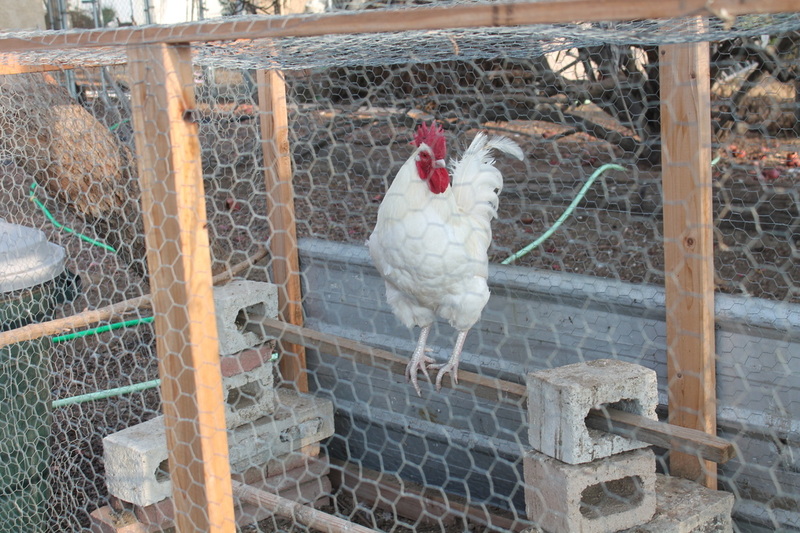 He is low on the rooster pecking order & they will peck him mid-crow which produces a very funny effect. 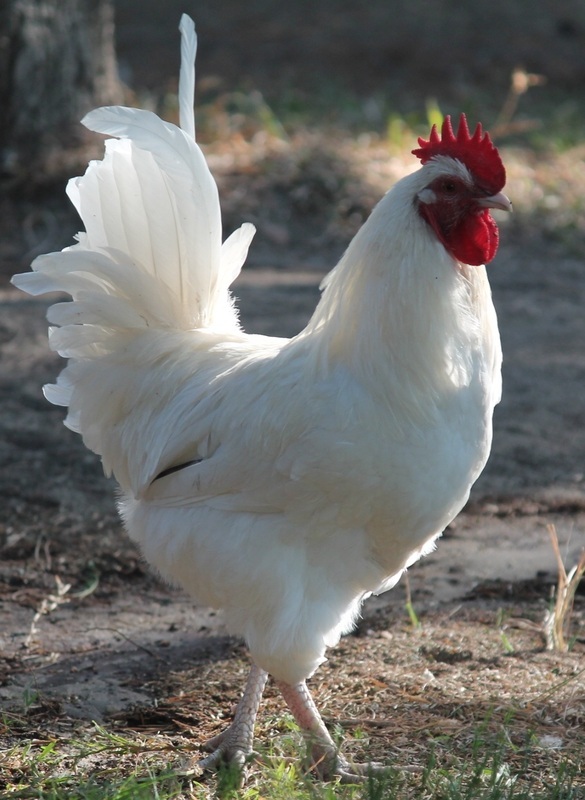 The other roosters have also gone after him when he attacks us & drive him away.